Elegant fashion collection Siam crystal round surgical post earrings with a luster that will brighten your look & add a touch of color to anything you wear. 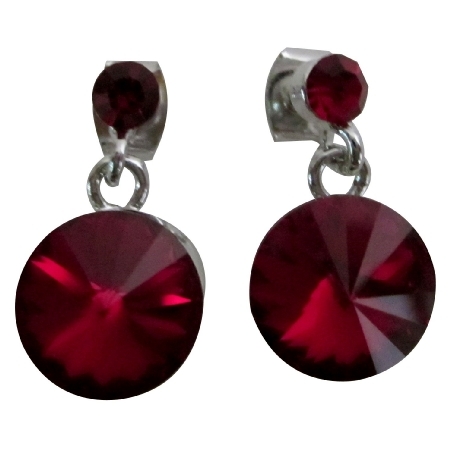 Material Used : Siam crystal round surgical post earrings. This item in Earrings & Jhumkas category was first added to our catalog on 11-03-2015. Buy Infused Sense Of Romance Siam Crystal Earrings, sold & shipped by Fashion Jewelry For Everyone where you can shop online for Leading Online Retailer for Indian Fashion Jewelry. This Earrings collection has been tagged as Romance Siam Earrings,Romance Earrings,Siam Crystals,Siam Earrings,Crystals Earrings,Earrings Crystals,Infused,Sense,Romance,Siam,Crystals,Earring.